Concerts have always been about connecting with a local community, but the focus on performing in major metropolitan areas neglects the fans who live far away. Very few fans are devoted enough to tolerate traveling hours to see their favorite artists play – and there are fans around the world who will likely never be able to see their favorite artists in person due to where they live. Travelling to see an artist is expensive – the cost of just a ticket for superstar artist can be hundreds of dollars. For fans who live hundreds or thousands of miles away, the cost of travel is even more, making it outright impossible to afford for many fans. The closest substitute for them is to instead watch a broadcast, but this is just a shadow of the live experience. 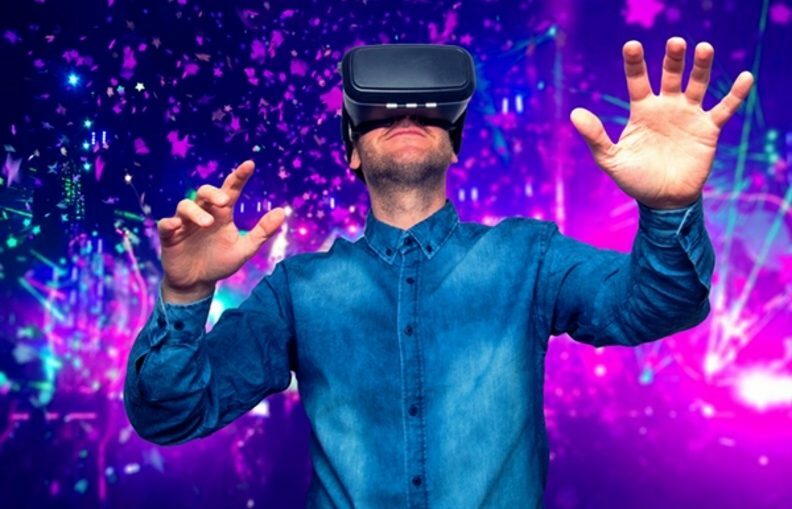 The good news for these fans is that progress in technology is opening up new means of experiencing concerts or hosting them, whether it be purely online concerts or experiencing them in virtual reality, or VR. Ultimately, technology is slowly bringing about a reproduction of the concertgoing experience that is becoming more and more realistic. It’s important to understand the global music market to measure the impact it will have. The global music market takes in revenue of about $15.7 billion as of 2016, where it grew by 5.9% – the second highest growth rate since 1997 and the second consecutive year of industry growth. This marks a strong turnaround, as the industry revenue declined nearly 40% since 2001-2014. The vast majority of this new growth is spurred by digital sales, especially music streaming services, which saw over 60% of revenue growth in 2016. There are over 100 million users who pay to stream music globally – and these users account for half of the total revenue in the industry. Record companies have recognized the transition to digital distribution and have been aggressively building up infrastructure that allows global digital distribution and licensing of music. These trends mark a fundamental shift in the industry and the move away from physical distribution. Digital distribution has stepped in as the new model, which provides more accessibility for more content per dollar spent for consumers. There are strong parallels that can be drawn between how the music industry became digitized and how the model for concerts will change. The drawbacks to concerts are twofold: high overhead cost and limited accessibility. Location is still the largest limitation for concerts today: the audience is determined by geographical location – most concertgoers live nearby and only the most dedicated of super fans tolerate traveling for hours. What this means is that the majority of bands focus on large cities when touring, such as New York or London, but these venues are often very expensive. Fans who live outside major metropolitan centers will find that attending concerts of their favorite artists are incredibly difficult or outright impossible. Seeing bands live is not easy. From the perspective of musicians and bands, concerts have changed very little as well. While digitizing distribution means that their music has global reach, audiences at concerts are constrained to those nearby. The current concert model means that musicians receive only a minute portion of revenue generated due to the huge staff and overhead. According to Dawn Barger, a manager of indie bands, “the finances of having a band on the road at a small club level… you’re barely covering costs in a lot of cases.” Most concerts only hit a profit when tickets sell out or get close to selling out. For many artists, the monetary gain from a tour is minuscule. Even though a live performance is one of the best ways for a band to connect with its fans, it often means little or no income. Much like how music distribution is becoming more and more digitized, the digital component of concertgoing is growing as well. One of the companies in the forefront of digitizing the concertgoing experience is CEEK. CEEK is looking to create a virtual reality experience for concerts – and the founders see two major benefits with this approach: global accessibility and lower cost per concertgoer. For some international fans, the possibility of their favorite band performing in their town is zero. Flying to see the concert live is expensive, often impossible. CEEK opens up the possibility for these underserved fans to see concerts as if they were physically present. The VR experience is also cheaper. Tickets for superstar artists can become prohibitively expensive overnight due to ticket resales – with some tickets increasing in price by hundreds of dollars. CEEK VR’s experience essentially eliminates this hurdle, as there can theoretically be no limit for the VR experience. That is, unless, the artist chooses to make an exclusive VR experience with limited spots. CEEK has partnered with some of the world’ premier stars such as Katy Perry, Snoop Dogg, and Lady Gaga to release concertgoing experiences. From the perspective of musicians, the possibility of hosting a virtual audience of any size means that more of the revenues can be returned to them. While the physical concert requirements will not change, the cost of hosting a virtual audience is much smaller in cost and economies of scale means that there is no difference between hosting ten people or ten thousand virtual attendees. This ultimately reduces the fixed costs per person attending the concert, which will make concerts more profitable. More importantly, it’s also possible to create a VIP virtual experience for a select group of users as well, where bands can interact more intimately with these viewers. In fact, Megadeth recorded a new album dedicated for their new VR fans. Concerts today are limited by the fact that bands can only draw a local audience at each location they play, which can leave millions of people living outside of major metropolitan areas never able to see a live show. The introduction of VR is bridging this gap by introducing a globally accessible experience that is as close to real life as possible while allowing the artist to keep more revenue for themselves. The adoption by superstars such as Katy Perry, Megadeth, and Lady Gaga is a sign that adoption of new VR model is accelerating. While VR technology today cannot perfectly replicate the concert experience, the technology has been advancing so quickly a perfect representation may not be far off. Money is pouring into the new technology so quickly that experts from PWC are predicting that the VR market will grow from an $869 million market in 2016 into a $15 billion market by 2021, or a projected 1,626% growth. Ultimately, the future of concerts is a global experience, where people from around the world can immerse themselves and experience concerts as if they are there. This article was originally published by NEWSMAX.